The Massive Sway community of bloggers, powered by The SITS Girls (a long-standing acronym that represents The Secret to Success Is The Support) maintains a simple objective: to create an educational space where bloggers can learn from their colleagues and share best practices related to the world of blogging. The community is the leading expert resource for both those new to blogging and veteran bloggers interested in learning everything they can about social media and monetization of their site. 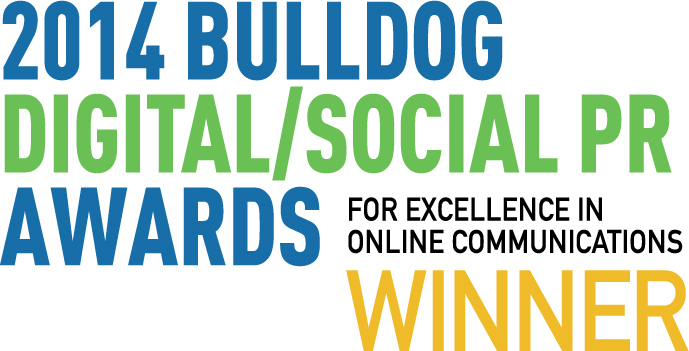 We are thrilled to share that the industry agrees, as verified by our latest recognition with a 2014 Bulldog Digital/Social PR Award for Excellence in Online Communications. The Bulldog Awards recognize excellence in public relations and communications at the highest level. Our Massive Sway community has been selected in the Best Online/Social Media Community of the Year category for demonstrating its leadership position as an expert resource for online influencers. The award celebrates the breadth and depth of the Massive Sway community, with unparalleled reach and weekly paid blogging opportunities. In the span of eight months, Massive Sway’s portal for influencers (known as iSway), which allows community members to register for sponsored post opportunities, added approximately 2,500 new members and continues along this path of growth. Influencers seek out our network not only as a resource for strategic support and education, but also as a dependable source for steady, high quality work. We continue to grow our network of noteworthy Massive Sway influencers by allowing them to focus on content for their community, while we manage the business side..
Our clients confirm the benefits of an influencer network. The magnitude of our Massive Sway network allows for increased efficiencies in identifying the right influencers. In addition, by outsourcing the project management element of an influencer campaign, all contract negotiations, QA and coordination of post approvals are handled through the network. As our Massive Sway community continues to grow, so too do our corresponding successful campaigns. Stay tuned for more massive engagement from the Massive Sway community as we continue our legacy of delivering noteworthy results. Previous PostDoes Pinterest’s New Smart Feed Have You Stumped?